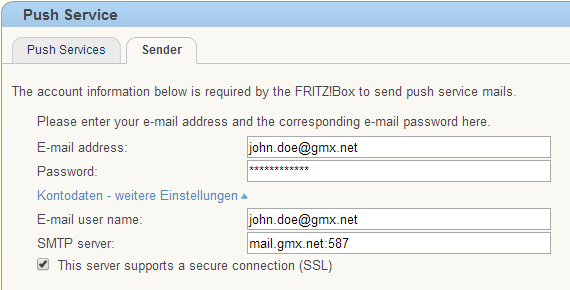 If the server cannot be reached over port 25, enter the port used by the server to communicate, for example 587 (see fig.). Click "Test Settings" to test whether you entered the account information correctly. Important:Save the settings first and then click "Testing Push Service" or "Test Settings". Otherwise, the data will not be adopted correctly.